Danish photographer Joachim Adrian has recorded many famous sites from the exact position used by earlier painters, giving you the chance to slide a bar and switch between painting a photo. "I find it fascinating to compare. 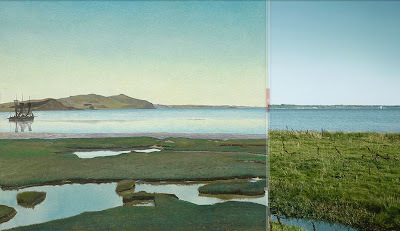 The landscape has often changed somewhat between now and then. More interesting is to see how the painter has chosen to use and sometimes change a little what was before his eyes, and how style, personality and the story the painter wanted to tell shows up in the painting, and how a painting can show things better than a photo can. Something you often have written about yourself. A bit of historical context. When the national romantic painters, such as J.T. Lundbye and P.C. Skovgaard and Købke started in the 1840s, Denmark had become much smaller than it used to and still fighting with Germany over where the border should be. 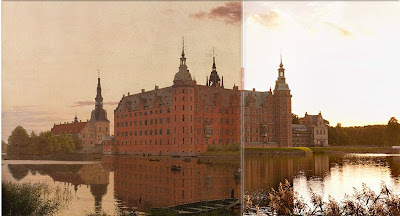 So the feeling you sense in those paintings are a fervent love for Denmark as a nation and its landscapes. Lundbye went on the customary tour to Rome and was terribly homesick the whole time. 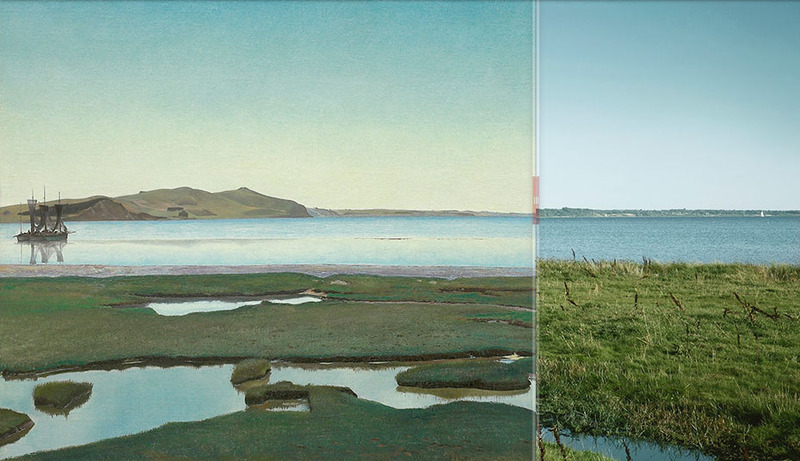 They wanted to show the danish landscape as magnificent as that of any other country, even if Denmark is small and flat. You can see in Lundbye's picture that he has exaggerated the forms a bit. National feelings ran high all in all of Europe at the time." That was neat to explore. Thanks for a consistently good blog for artists!